Mary Kay brags that they recruited 165,000 new consultants in April 2011, and that March 2011 was the month with highest sales ever in the history of Mary Kay. But how engaged are all these orderers? If seminar attendance is any indication, not much! This year, Mary Kay will have 30,000 women attending Seminar at the Dallas Convention Center. That’s the lowest figure in at least a decade, and probably much longer. Thank goodness women are finally figuring out what a waste of money that fake pep rally is. Fake training, fake awards (based on how much you can order, not how much you can sell) and an all around fake feel-good atmosphere for thousands of women who are losing money in Mary Kay. If Mary Kay recruited 165,000 new consultants in April 2011 they failed to mention that it was the result of the half price starter kit. Just another lie by omission from MK. As for seminar attendance numbers, this really shows how few can afford to attend the biggest brainwashing session of the year. Hopefully, some have wised up and chosen not to attend based on the fact that it is always the same regurgitated info year after year. MK throws in a tiny bit of new info by displaying the latest products. I was one of those who wised up. 2010 was my last Seminar – ever. The Good news is that the experience helped me wise up! Gee whiz, as an All Star Consultant, I won a camera!!! Just what I ne4eded after plane fare, meals, and hotel. Count me as one less for 2012, too! Here’s the link that was on the local news about the seminar. Hmmmm … that’s down to about 6,000 per session, which nicely fits in part of the arena. No more second-class consultants in Hall A! With the DCC capacity being just under 7500, how long do you think it will be before they start combining Seminars? There’s, what, five Areas (I’m guessing because I really don’t know); so that’s a breakdown of about 6000 attendees for each of the Areas this year. They’re dropping 5000 a year (give or take) which means “more than 25,000” this year. Spread evenly over five areas…5000 attendees for each session…two thirds of the DCC capacity. MKI is not about losing money so you know that they’ll be taking some cost cutting measures eventually and combining is one way to do so. Very interesting numbers. I remember going to Seminar in 2001. Then Hall A was for consultants who weren’t Star Consultants. My Sr. Director and I sat in the nose bleed section because we were small potatoes. 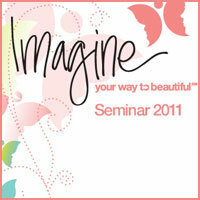 I remember that Mary Kay added another Seminar group so that the Seminar didn’t get too big. I was in Pearl, but I kind of think Diamond was new or added back in the late 90s or early 2000s.